Surrender at 20: Red Post Collection: Meddler Champion Design Q&A, Riot's stance on "Scraping", and more! 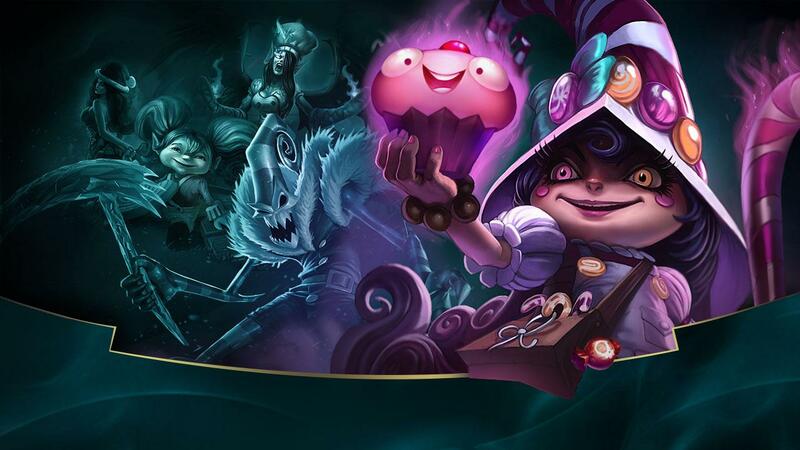 Red Post Collection: Meddler Champion Design Q&A, Riot's stance on "Scraping", and more! Tonight's red post collection features a brief Champion Design Q&A with Meddler, Riot Katey Khaos commenting on Jarvan IV and Renekton's smaller than usual HP bars, Sargonas explaining Riot's stance on 3rd party developers "scraping", a reminder that Sugar Rush starts soon, and more! Red Post Collection: Gnar changes next patch, Patcher & Landing Page refresh on the way, and more! Anyone got any questions about how we make champions or thoughts on what we could be doing with champions in LoL they'd like to discuss? Watching the LCS playoffs at the moment and figured would be a good chance to get some forum posting in too for a couple of hours. Update: Thanks for the chat folks, need to head off and get some other stuff done." "I'll leave sharing timelines/details up to the Sion team, don't want to spoil any of their plans. Can say that it's coming along really well though, overall a pretty different kit but with some familiar elements." "We wanted to explore the samurai archtype with Yasuo, but didn't just want to do the classic swordmaster thing by itself. Control over the wind was something the Yasuo pod (a group of developers working on a project) hit on pretty early, which resonated well both with the themes we were going for (wanderer, speed, power) and with the way the art was going. Double crit chance was identified as a way to offer a melee champion a needed steroid while also changing up how the character thought about itemization a bit (Yasuo's early item choices are very different than they'd be if he had a +AD steroid for example, which leads to a different set of choices and experiences than on other champions)." "It's not a mechanic we regret. As above it does useful things for his playstyle, plus it also gives him a consistent, rather than random crit based, damage output late game, which has some advantages (and some disadvantages). I can understand it being a target for concerns about Yasuo being OP, if there's an issue we should be fixing there though I feel there are better levers to use on Yasuo than removing that part of his passive." "Tying too much of a champion's damage up in a single spell can lead to some power curve problems (Zilean for example bullies incredibly hard early while he's maxing Q and then falls off unsatisfyingly hard). Having said that though having high damage on a basic ability isn't necessarily problematic in my eyes - not every character needs to be three damaging abilities plus a high damage ult, even if they're played in a damage role, and non damaging abilities can open up a lot of gameplay space (e.g. Anivia's wall). Are there particular problems you see with such abilities? Agreed, Ezreal's W is the least interesting and least satisfying part of his kit. We're certainly open to improving it, though would want to do so in a way that didn't remove an intended weakness or just straight out overpower his kit (hence the removal of the old attack speed slow for example - strong duelist against other marksmen's not a core part of Ezreal's intended identity.)." "A transformation you had only limited control over was the core starting point for Gnar, with that then allowing each form to have really distinct strengths (since you couldn't swap back and forth as needed). Goal was to offer a really distinct play experience, both for the Gnar player and for all other players in the game (whether working with Gnar or fighting against him). That sort of distinctness is something we're focusing on a lot more with new champions now than we have in the past." "When coming up with a new champion we'll start by looking at what our goals are. With Gnar for example we wanted to explore both a classic man/monster contrast (Jekyll/Hyde, Banner/Hulk etc), add a different take on a playful personality and investigate how a young child might be able to survive in a dangerous world. We don't have firm quotas, but do want to offer a range of champions to appeal to a variety of players (so variety in theme, role, gender, age, mindset, appearance, difficulty etc). Sometimes that'll mean we make concepts with broad appeal (dual gun weilding fighter of the undead on a quest for vengeance), sometimes ideas that are more niche (highly intelligent tentacle monster researcher scout)." "We took a swing at a sand mage concept a couple of years ago but weren't happy with the results and put him on hold as a result. That was with the intention of returning to him someday though to see if there was a different take on the idea that might work out better. Fingers crossed that's something we'll have success with at some point, it's a cool space to work in." 1) When you create character-defining abilities, such as Vi's ult, what is your guys' cutoff point for when the tradeoff between "iconic" and "overpowered" becomes too much? Using Vi as an example, I've banned her literally every single game I've been allowed to ban because that ultimate is just too much. (Not trying to derail, just for context). At what point do you guys say "that's a cool ability, but it's going to be too strong"? 2) How do you guys go about determining base damage numbers for abilities when in the early stages of champ development? 3) How do you decided the cutoff point between base damage vs scaling damage? Is it a rough estimate based on the "intended" class of the champion? 1. Our goal with signature abilities is to distinctive skills that are situationally extremely powerful (if used right) but not universally overwhelming. Something we're working on at the moment is making our champion roster, both new and existing champions, more distinct where possible, and putting power into iconic abilities tends to be a great way to do that. Having said that there are still a lot of general design principles it's important to follow despite that. Counterplay's one of the big ones, and somewhere Vi's ult, cool skill though it is, is a bit narrow (counterplay's too dependent on the skillset of the target, abilities are usually healthier where there are some accessible universal counterplay options). 2. A champion's initial damage numbers in early testing are usually just a rough estimate based off somewhat similar abilities (e.g. if creating a single target click to hit ability a designer might look at Annie's Q as a starting point). Early prototyping's not focused on numbers much though, it's the concepts of what the skills might do (is this fun, interesting a good thematic fit for the character, adding some new to the game etc) that we focus on. As a result numbers just need to be balanced enough to give useful testing on that stuff/not heavily distort the test for other test points. 3. Base versus scaling damage depends on how item dependent a champion should be, how snowbally or not they should be, at which phase in the game they should get their damage, how strongly we feel certain builds should be incentivized etc. "We'd like to see a greater variety of champions played and a lot of our changes in patches 4.13 and 4.14 were focused on bringing down picks that were too dominant or adding some power to champions that were close but not quite there. Our goal's not to have all champions played equally though. Some champs are always going to be more or less popular than others of equivalent power depending on how broad or niche their themes are and that's not a problem. We would like to see a greater variety of jungle picks, tanks in particular, our current thinking is that that'll need some changes to the jungle itself, not just individual champions though - need to create more ways for different jungle strengths to matter. We don't have any current plans for a Kha'zix rework." "Ideas aren't the hard part of champion creation, figuring out how to make those ideas work, testing, rejecting, replacing, polishing, aligning with other parts of the process (visual goals, intended storytelling opportunities) etc are. For the average champion only one, or rarely two things, from the initial kit created on paper, survive to the final released kit, and even then generally in heavily modified form. Just directly implementing someone's idea isn't a practical approach as a result unfortunately." If I can ask, what makes you guys decide how much of a champions kit does any one thing? Is there a sort of "template" you start with for deciding stuff like what each skill does? First we do goal setting at the champion level. That means we'll start by identifying what the intended role of the champion is - what do they bring to the game that's new, what are their strengths and weakness etc. From there we'll then break that down to figure out what tools they'll need. If for example one of the goals is 'this champion is consistently hard to kill, protective of others' then we'll look at skills that offer non item reliant tankiness and defensive team utility. One thing that's important to watch for though is that you're giving a champion just the tools they need, not all the tools they want (which leads to kits with no clear weaknesses, an issue we've run into at times)." "We've explored what we were calling 'true flight' (to distinguish it from characters that appear to fly but are really just moving like any other) a bit. Personal feeling is that it's an interesting ability provided it's got sufficient downtime/chances for enemy counterplay, need to find the right concept and kit for it to go with though. Extremely fast attack speeds with low damage scale incredibly well with on hit effects, meaning you have to balance with those effects in mind, whether that's reducing on hit effects too or giving the character almost no damage otherwise. As a result you basically end up with an experience like normal auto attackers but harder to last hit with (low damage per hit) and kite with (more time spent auto attacking/less moving)." "Roles we'll generally identify pretty early. It's not uncommon for a champion to change roles during development though - if a concept works better as a support than a mage for example we'll want to make the better version of course. Roles do serve as a useful starting point when looking at what sort of actions a champion could be expected to perform, tools they might need. what their visual appearance should communicate etc. Position by contrast isn't something we try to design for, though sometimes a champions goals will strongly guide them towards certain circumstances (e.g. 'this champion does well in a lane against a single other opponent' or 'this champion is best utilized when playing with at least one ally')." Urgot is labeled "marksman/tank." Do you believe that is a viable combination, or are those roles mutually opposed? If it is viable, how deep is that design space? Do you see any underserved role combinations that you would like to explore? At the end of the day the role tags are there as general indications of what you can expect from a champion, not as perfect descriptors of what they'll be or limiters of what they should be allowed to be. For some champs, Urgot being a good example, they're only going to be somewhat accurate as a result. Marksman/tank for example implies some pretty contradictory things - squishy to protect versus front line initiator or fight controller, builder of primarily offensive items versus primarily defensive items, high value squishy target to kill if you can versus hard to kill target to kill if you must etc. It's possible that that combination of tags may still be the best shorthand to describe a champion though, the overall message being more important than the details. Also as a side note Urgot should probably be a marksman/fighter rather than marksman/tank. In terms of design space there there's definitely a lot to explore. Support/assassin is one I feel's got a lot of potential in particular - imagine a character with an assassin like play style (squishy, active defensives instead of toughness, flanks the enemy) who, after going in, grants various team utility effects, rather than trying to explode a single enemy. Lot of problems you'd need to solve, but lot of potential for a really different, fun, interesting experience too." "Tech constraints are a regular part of the design process, though most of the time we'll either find a way around them or get help from our software engineers to add the functionality we need. Yasuo's windwall was indeed such a case, with an initial designer created version we used for testing that was sufficient to prove the concept (but incredibly server intensive and buggy) that got replaced with a properly coded alternative. A lot of the time though it's smaller stuff as well. Kha'zix's release was shifted around a bit for example because we needed to get some new tech for the Evolution UI. More than happy to talk jungler diversity, though can't guarantee I'll be able to answer everything in detail." 1) What ectually sparks the Design of a champion? an idea for the kit or Character? 2) We haven't heard of ao shin for a while? how is it going with ao shin's design? 3) have you or other Rioters ever looked at Champion Concepts on the Forums or does that take to much time deu to you guys being so busy all the time? Characters can start with a piece of concept art, an intended story or personality, a role we need to fill, an ability or kit etc, all of which have lead to successful champions in the past. Art's been the most common starting point historically though. Ao Shin's still a long way off, so nothing to report at the moment sorry. I don't browse the champion concepts section myself, can't speak for other Rioters though. Have certainly seen some good suggestions for champions elsewhere though (such as the suggestion for a champion that controlled a mobile fireball that I believe influenced Orianna's development back in the day)." "Some concepts are naturally going to have broad appeal, others niche, and that's something we're fine with. Generally though we're looking to make characters that appeal deeply to some people, rather than characters that appeal a bit to almost everyone. No strong preference between overtuned and undertuned release states, ideally we'd be hitting balanced, but some variation either way's going to happen given it's just not possible to balance beyond a certain degree using internal testing/PBE alone. Regardless a champion's first couple of weeks especially are going to be more about people learning to play with/against a new champ, giving us some time to adjust their balance if needed." "It's a known issue, and will be fixed ASAP. :]"
"As you've seen, it's an issue with more than one health bar (i.e. Renekton, J4). We want to investigate the issue fully, to see what the root cause is." "The images don't show it, but the Featured Spectate Matches module will be back when we launch with the new designs :-) We're not making any immediate change to how it works, but we are moving its location on the client landing page. To echo what Ventropy said, we're counting on your feedback on this and every other aspect of the refreshed patcher and landing page, so… let us know what you think!" "The design and tech refresh is coming to both the patcher as well as the client landing page (AKA the home screen, AKA the screen you see after you successfully log in). And Featured Spectate Matches will be back on the client landing page when we go live with the new designs. :-)"
Featured Spectate matches are back on the PBE as of the 8/22 update. Riot Sargonas recently posted on the developer forums discussing Riot's stance on Scraping ( essentially using spoofed LoL clients to grab data instead of the official API ) and what it means for community sites such as lolking, op.gg, and others. "Hey all, figured I would chime in here rather than make you have to dig around in our slightly more technical dev forums for some clarity! Forgive me if parts of this feel like a copy of some of the statements I've made there in part, but I'm trying to be consistent in what I say to avoid confusion. Some third party League sites use a method called “scraping” to get data from our servers for use in their applications. Scraping uses spoofed LoL clients to grab data from things like Spectator Mode, account profiles, the store, and more. This results in tens of thousands (sometimes hundreds) of concurrent extraneous sessions on our platform. Because of this, scraping can cause occasional stability issues, and it also increases the complexity and difficulty for Riot to detect and fix problems without first sorting through the “white noise” of these extraneous connections. 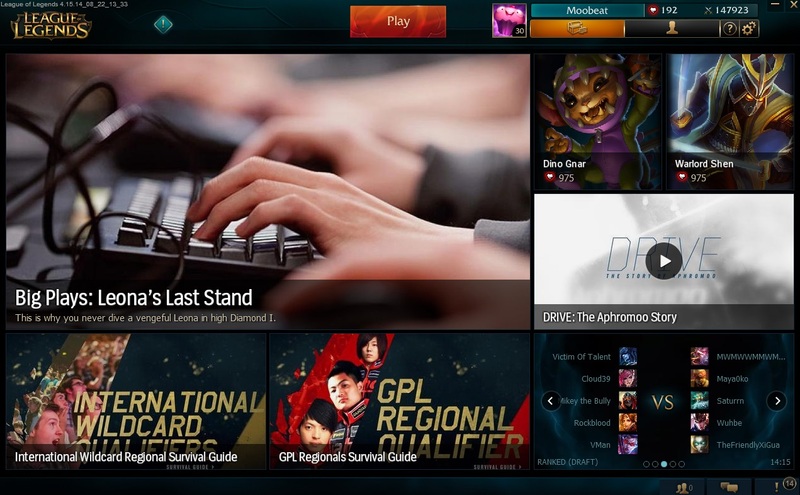 Third party developers are aiming to provide League players with value and enhance the experience, which is awesome - and we’ve developed the Riot API (link) in order to help third parties do just that, without causing harm to the live service. Many sites that you know and love have already moved over to the API, but there are still some third parties that are actively scraping our live service today for a variety of reasons. We are not attempting to kill any sites with this.. It’s true that some technological shortcuts used by many sites can no longer be employed - You can’t put in a single player name and get a live dump of every player, champion and the associated team in one shot, for example. We understand this will require some user experience tweaks to these sites and may possibly make the process less streamlined in some cases, but we feel this is an acceptable trade-off in return for the value provided to players in the form of better platform reliability." "Thought maybe I'd also add in, we just earlier today also announced that some of this desirable data obtained from scraping is already on it's way to the API! Details are over on the PBE forums: http://boards.pbe.leagueoflegends.co...history-builds"
so lolnexus is finally going to be deleted? **** yea I am so happy to hear this, thank you riot! Not necessarily... if you go back through my previous post, I've gone over how it will affect these kinds of sites. The TL;DR is that no, it wont cause them to go dark, but simply change how we interact with them and may affect portions of the data made available." "It should have little impact on the majority of sites. Some, like LOLKing, have moved almost entirely over to an API powered system long ago. Others are in the process and use a bit of both. We are simply delivering on something we told them long ago would be coming, a deadline to only use the API to relieve strain on our systems. The majority of functionality you expect should still be there, but perhaps with tweaks to the overall user experience on how it's handled. The end result should be primarily the same. One of the biggest examples of lost functionality I can think of is the loss of knowing who is in a pre-made group in a game, which to be honest, is not information we feel should be had in the first place. EDIT As to the OP.gg spectating issue, this does not apply to the spectating and generation of replay files by op.gg. They are welcome to keep this functionality for the time being and we hope one day to maybe even add this to the API to make it easier for all, possibly." Just a reminder the Sugar Rush event starts on August 26th! Be sure to check out the announcement thread for information on the skins on sale, when the double IP weekend starts, new icons, and more!